Training is an effective way to not just increase the skills of your employees but to boost morale and improve the workplace overall. Training improves the workplace overall as it shows the organization’s commitment to employees and indicates to employees that an investment in their future is key. 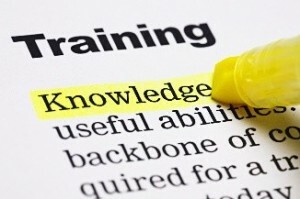 Investing in training for employees does directly impact the bottom line! Employees who are well trained and happier employees and that translates to customers who are better cared for. Want to learn more about how investing in training has helped ACG’s clients? Contact us today and we’ll share some stories with you!